Columbia is known for being the home of the University of Missouri. With its wide range of job industries, schools and things to do, the city is a favorable place to live for many families, college students and retirees. Long summers and a warm humid climate also make it a favorable place for several pests. Cockroaches, ants and mosquitoes are some of the most common and bothersome pests in the area. These pests are fast and have flat bodies that allow them to slip under baseboards, doors and furniture. They may be light tan to black in appearance and vary in size based on their age and type. Roaches are more common during the warmer months and prefer to be near bodies of water. However, some may live 10 days or more without water. Cockroaches feed off of bacteria and can spread it all over a home. They lay eggs and multiply quickly. Their size, agility and population size makes them hard to eradicate without a professional's help. Ants may be brown, red or black in color. When most people find ants in their homes, they are small black or brown ants. These pests can fit through tiny spaces and get into food containers. They can cost families and restaurants plenty of money in ruined food, and their colonies grow quickly. Some ants bite and cause itchy bumps. Scratching can lead to a secondary skin infection. Having an ant problem can deter business patrons and rob families of their peace of mind. 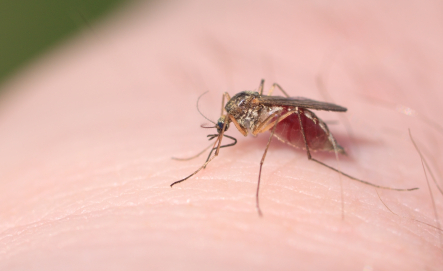 Mosquitoes are winged and have a distinct needle-like protrusion on the head. In recent months, these pests have gained more attention because of the Zika virus. Although it is not fatal and symptoms disappear after several days, women who have the virus are more likely to have children with birth defects in the future. Mosquitoes can also carry harmful viruses such as West Nile. They may spread heartworm to dogs and EEE to some animals. Even bites that do not result in serious illnesses can lead to an allergic reaction or skin irritation in humans. Mosquitoes thrive near water. Lakes, ponds, rivers, backyard fountains and even the water dishes of pets are breeding grounds for them. They can enter homes in search of a blood meal and can fit through small spaces.